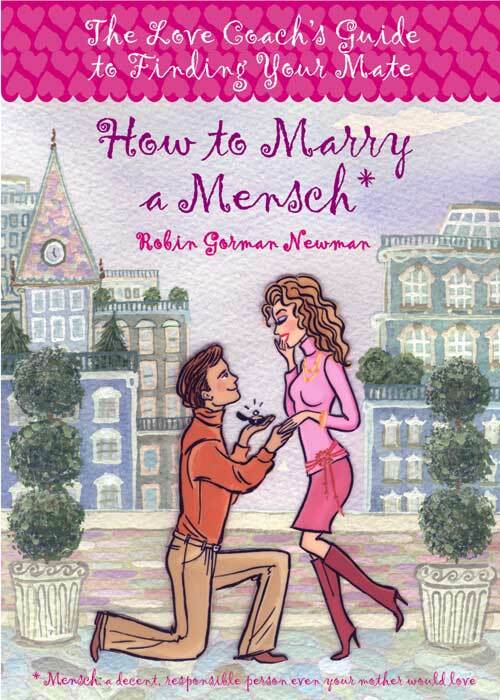 To read a book excerpt of How to Marry a Mensch, click here…..
Every woman secretly (or not-so-secretly) wants to marry a mensch—the all-around nice guy that Jewish grandmothers recommend—but where are we to find them? 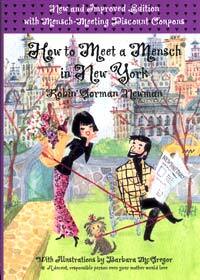 The Love Coach comes to the rescue in How to Marry a Mensch. Full of witty tips on where to find a mensch, how to woo him, and what to do when you have the ring on your finger, this book will help millions of women find their soul mates and live happily ever after. * Getting him to “close the deal” with a ring! Buy one, Get one Free! ORDER TODAY. Great gift. How to Meet a Mensch in New York is filled with upbeat, annotated listings, complete with addresses, phone numbers and appropriate contacts, that will inspire you to meet men in new and exciting ways. It's fun, enthsiastic and wise; just the book you need to get you up, out of the house, away from the office and on your way to meeting a mensch.